Moymoy Palaboy and Roadfill are two of the most recognizable YouTube Superstars turned mainstream celebrities. Thanks to their charming lipsync talents, they landed a slot in GMA-7’s Gag Show ‘Bubble Gang’. What I love about them is they never really stopped making videos. Michael V’s presence in this Gangnam Style parody video is the best! I am not an avid viewer of the variety show ‘It’s Showtime’ so I am not really familiar on who Eric Tai a.k.a. Eruption is. I can say that he did a good job in this parody video. It’s fun on how he was able to convince some Kapamilya celebrities do dance with him in this video. Bogart The Explorer – It’s More Fun in the Philippines! Bogart Bogart Bogart proves that it is more fun in the Philippines! If you want to see a ‘deeper’ meaning yet in a light approach on why ‘It’s More Fun in the Philippines’, you better watch this video! And yeah, the Call Me Maybe fad is over! JemDaHunk became popular in the Pinoy YouTubelandia after his series of ‘How to Dance in a Club’ videos. He is constantly uploading How To videos or simply just making fun of himself. More More More! I have to admit that Ashley Rivera a.k.a. 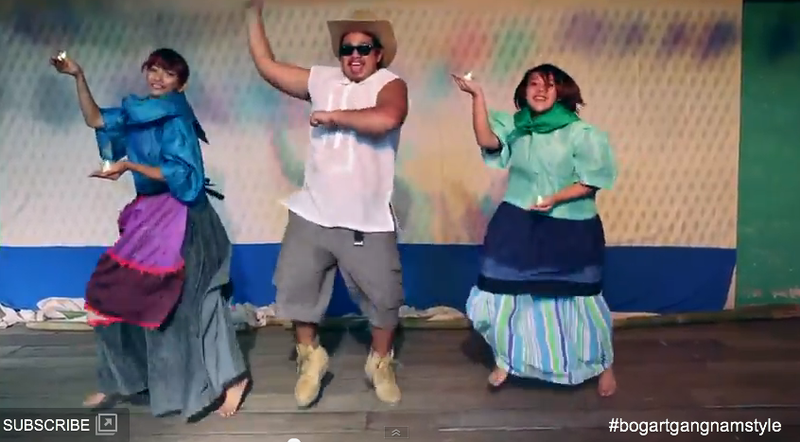 Petra Mahalimuyak’s Gangnam Style Parody Video is my top favorite. This girl is good-looking and talented yet she’s not afraid to make fun of herself in public. I have to admit that her current videos partly made me sad because it is full of advertorials. I’m glad that this specific video is not a ‘sponsored’ video. I miss the old Petra and I’m glad she’s back! Go girl! So there you have it, ladies and gentlemen! Which among the following videos is your top favorite Pinoy Gangnam Style video? hahah natawa ako, inabot ako ako 20mins mahigit sa panonood, nice compilation.